Shields are a form of hand-held armour. During the Hundred Years' War some types were used in some hand-to-hand combat as well as to defend against missile attacks. Shields have been used for thousands of years, and are one of the earliest and simplest means of personal protection. 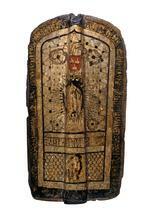 Early medieval shields would have been made of wood covered in leather, and were circular, oval or kite shaped. They were held by a grip that was anchored at the centre of the shield. 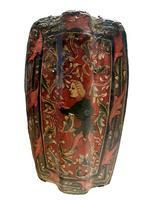 They were made from a number of woods, including fir, alder, or poplar. 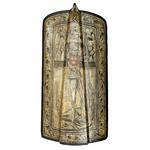 Various shields were in use the Hundred Years' War. By the mid-14th century, the development of plate armour had reduced the need for wooden shields of triangular 'heater' shape, although infantrymen still used small circular shields, known as bucklers. 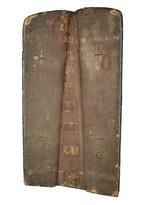 The development of gunpowder weapons gradually made shields obsolete on the battlefield. 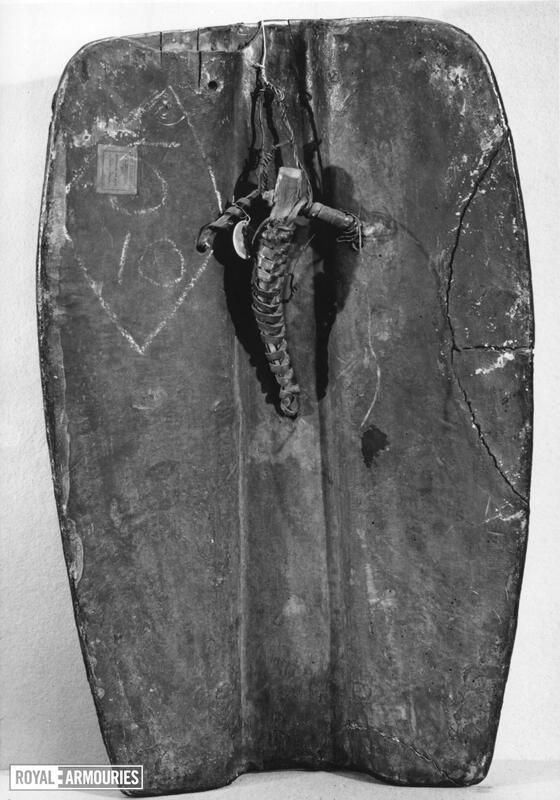 Shields of differing forms were carried by both foot soldiers and the cavalry. 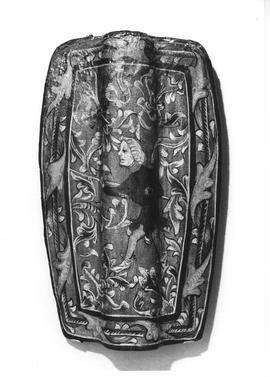 They were held by a hand-grip or arm strap ('enarme') that was secured to the back of the shield. 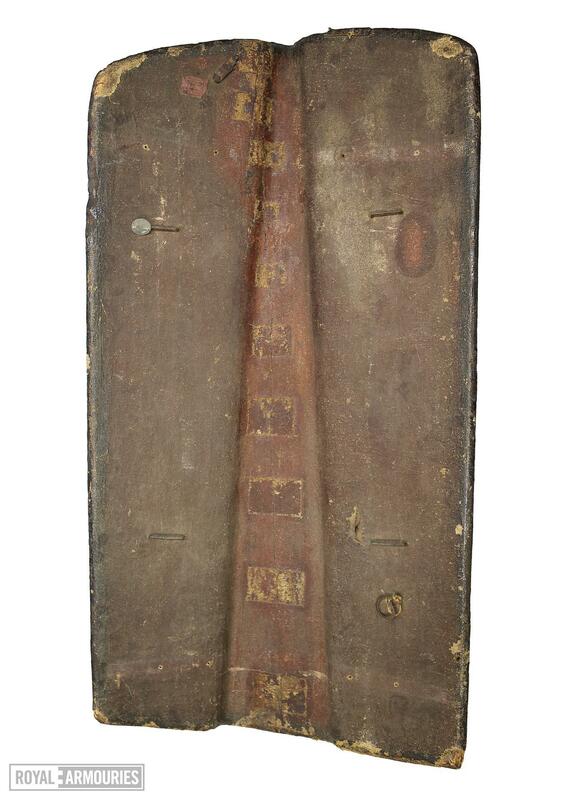 On some types an extra-long strap, known as a 'guige', enabled the shield to be slung over the neck and shoulders. 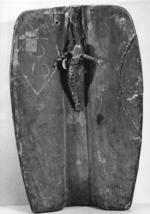 The weight and size of the shield would have varied depending on the type of soldier and battle. 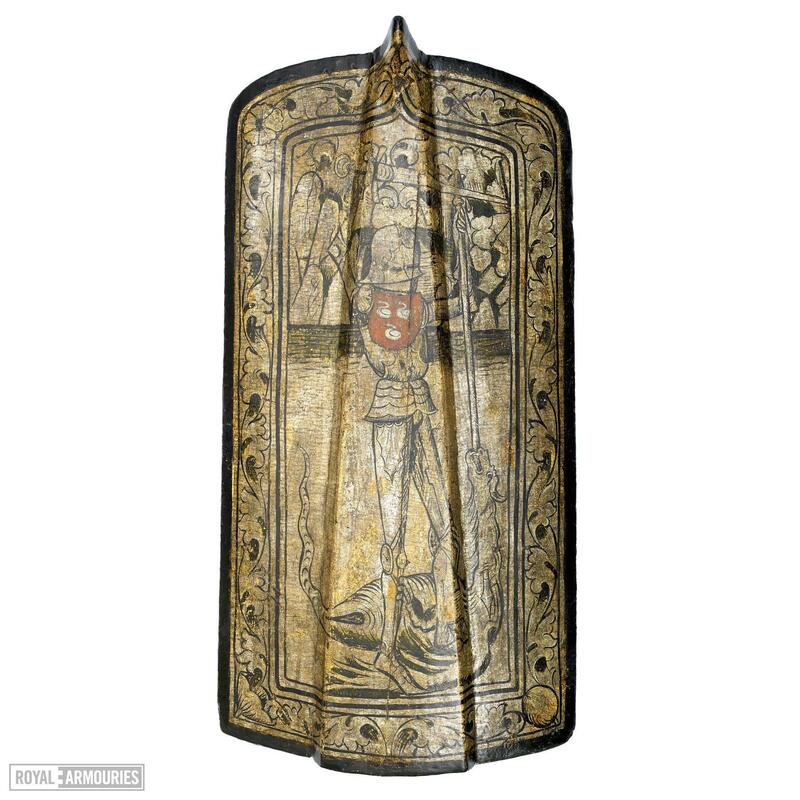 Those who relied on speed or surprise would have carried lighter shields, and those who were facing powerful enemy weapons would have chosen highly protective and heavy shields that covered more of the body. 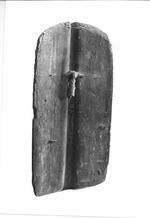 Pavises (large, rectangular shields) were used to protect a large part of the body. 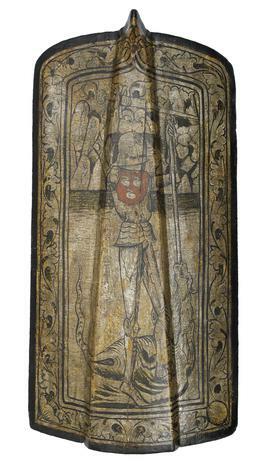 Crossbowmen would use this type of shield to give themselves cover while they spanned their crossbows. 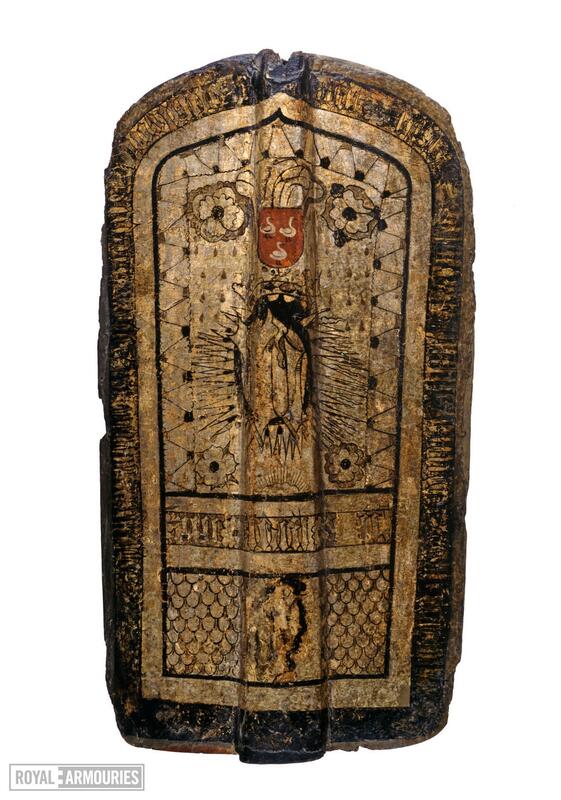 Sometimes these shields would have been carried by soldiers known as 'pavisiers'. 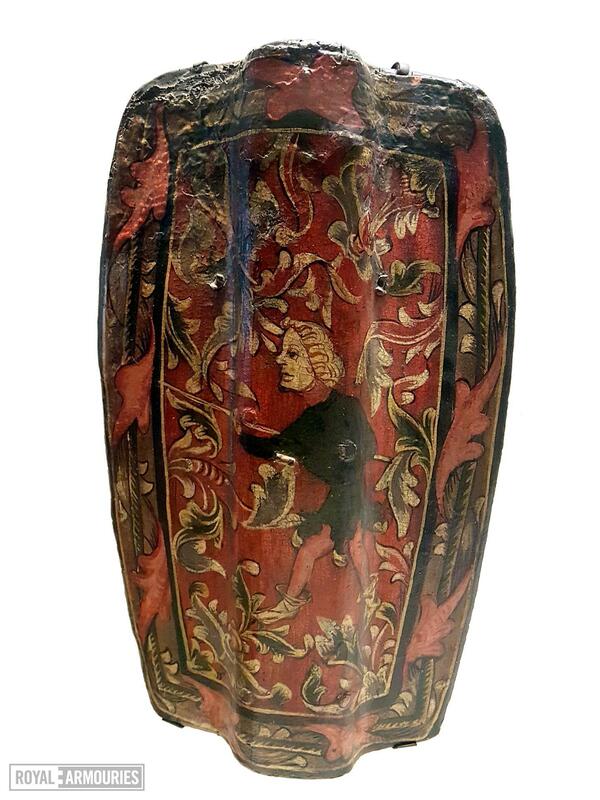 They were often painted with bold heraldic designs, figures of saints, or the arms of a particular town or city, if the soldier belonged to an urban militia.